Everglades airboat rides in Parkland Florida. We are an Everlgades based airboat tour company who provides all natural Everglades tours in the Loxahatchee preserve just west on Loxahatchee road in Parkland Florida. We provide semi private and private airboat rides in the Florida Everglades. All of our airboat tours are in the wild there are no caged up animals and we are not a tourist trap we provide an in depth look at the everglades eco system, its history, and wildlife. We only provide smaller boats for more fun and maneuverability we will never put you on large barge type airboat that is not fun. Enjoy the birds of the everglades as well as the reptiles and the world famous american alligator, our Captains are natives of the everglades and have grown up in the everglades teaching people about its diverse eco system for over 33 years. Every airboat ride is unique and different you will never experience a more fun eco tour than an airboat ride in the everglades. We have easy access to our Everglades tours from Coral springs , Weston , Coconut creek and Tamarac. Airboat rides in Coral springs Florida are any easy way to entertain Family and Friends. Email us today for your Everglades airboat tour. Parkland Airboat Rides offers daily airboat tours of the famous river of grass in the Florida Everglades. Look at some of our reviews scrolling below, or read them all at our Tripadvisor page. Come join us today for the best Everglades airboat ride in Florida. Looking for a fun attraction in Parkland Florida look no farther. Everglades airboat tours operates in the loxahatchee preserve area and we provide everglades tours on our airboats daily by appointment. We are a must do attraction in Parkland Florida, fun for the entire family airboat rides are fun , safe an educational. With over 33 years of experience our life long resident captains will ensure you have a great airboat everglades tour. We also serve the surrounding areas for airboat rides in coral springs, coconut creek, deer field beach, and Margate airboat rides. Loxahatchee Everglades tours leaving from Parkland Florida daily. Come and experience the wild life and the beauty of the Florida Everglades on an airboat ride in the Loxahatchee preserve in Parkland Florida. Our airbot rides are family friendly and educational , come and learn about the river of grass and its bird life as well as its history and the famous American Alligator. Our airboat tours are the best in south Florida, Jon us in the everglades and let one of our professional airboat captains show you its beauty . Our nature tours are fun and educational for the entire family, corporate group or just couples. 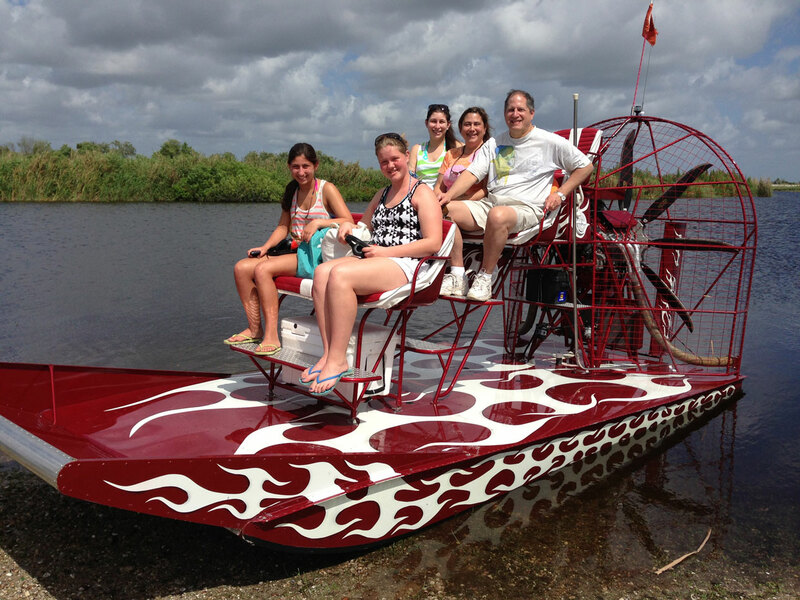 Our airboats are fun and comfortable and exciting. The Loxahatchee preserve is located on Loxahatchee road in Parkland Florida but remember you must make an appointment we do not take walk ups. Airboats have evolved over the years just like anything else. In the early days the first airboats were not a fine tuned machine as they are today, in fact they were very uncomfortable and not fun to ride in the everglades. Over the last 20 years airboats have been fine tuned and made better, Parkland airboat rides offers the finest and newest state of the art airboats for its customers in the everglades We spare no expense to have the best airboats in the tour industryin south Florida . 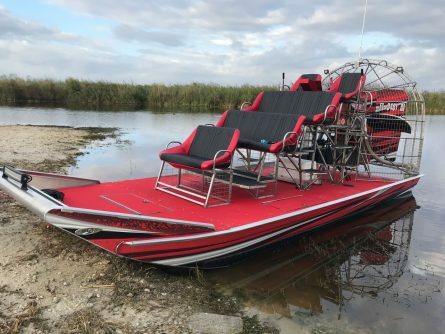 Our boats are high performance airboats and equipped with the most comfortable seats and all safety equipment required. Come join us today for one of the best airboat tours in Florida. The Florida Everglades also known as the river of grass, runs from the Kissimmee river down to Florida bay in Homestead Florida. It is the largest existing wetland in the world today. There is no other habitat like it in the world, with hundreds of bird species, reptiles and the famous American alligator, it is truly a spectacular adventure on the airboat. Join us today for one of the best airboat rides in south Florida and Learn about the Everglades, and its eco system with a professional captain. We have several stops along the prairies, the sawgrass marshes and the islands of the Everglades. All of our family members who operate the airboats are United States Coast Guard approved and trained Captains . In order to hold this certification you must not have any criminal convictions, be able to pass a background check, and periodic drug test and screening randomly by the coast guard. Our captains are also hold there certification for airboat safety courses mandated by the state of Florida as well as having c.p,r training which is also part of the process of being a certified airboat captain. Most companies do not hold these certifications at all we pride ourselves on being the best airboat ride company in the Florida Everglades. Our boats are all properly inspected and insured , they are inspected daily for your safety, Rest assured when you take an airboat tour with our company you will be in good hands. We have the best Everglades tours in Parkland Florida, Fun and safe for the entire family. There are no age restrictions and it is an attraction in Florida that is a must do. Come join us today for a Parkland airboat ride that is fun and educational for the entire family. Learn about the river of grass, its history , plant life and visit some of the islands once inhabited by native Americans, all narrated by our family with over 35 years of experience. Everglades tours in Parkland Florida is a must do attraction, we offer one and two hour private tours daily by appointment for your family. We also offer corporate tours or multiple boats for your larger group needs. Explore our FAQ section to find answers to our riders’ most common questions and concerns.